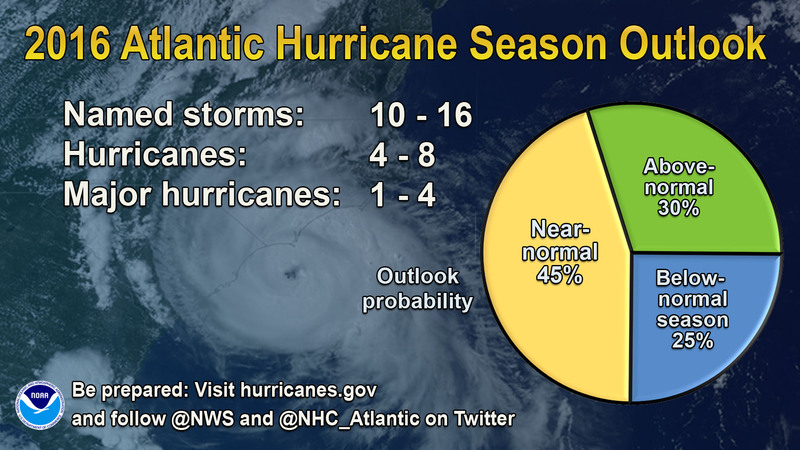 A near-normal Atlantic hurricane season is most likely. NOAA’s 2016 Atlantic hurricane outlook calls for “a 70 percent likelihood of 10 to 16 named storms (winds of 39 mph or higher), of which 4 to 8 could become hurricanes (winds of 74 mph or higher), including 1 to 4 major hurricanes (Category 3, 4 or 5; winds of 111 mph or higher).” The season is from June 1 through November 30, with a peak from mid-August to late October. However, Hurricane Alex formed in January and another tropical system could form this weekend. 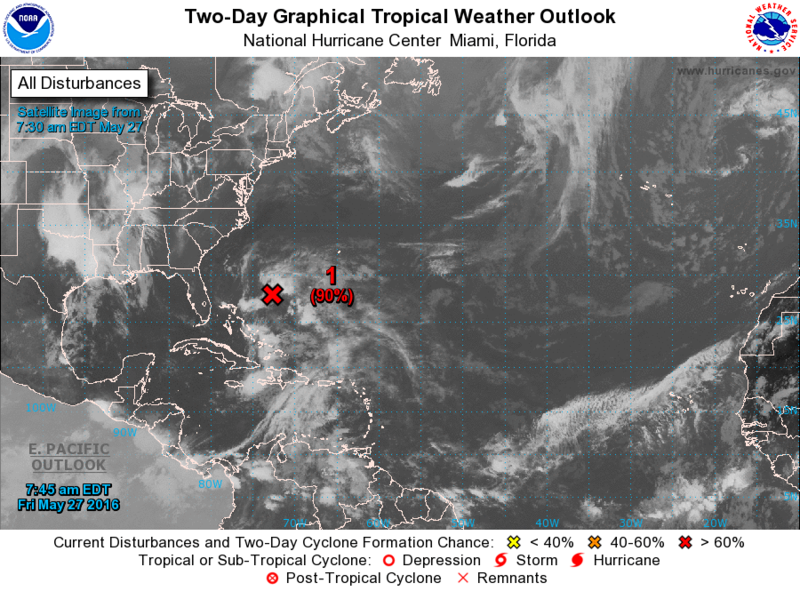 There’s a 90% chance that a tropical system will form over the next two days. While southeastern and southern parts of the country tend to see more frequent hurricane strikes, the Northeast sees them, too. According to data from the National Hurricane Center, between 1900 and 2010 almost every coastal county in the Northeast has been struck by a hurricane at least once. 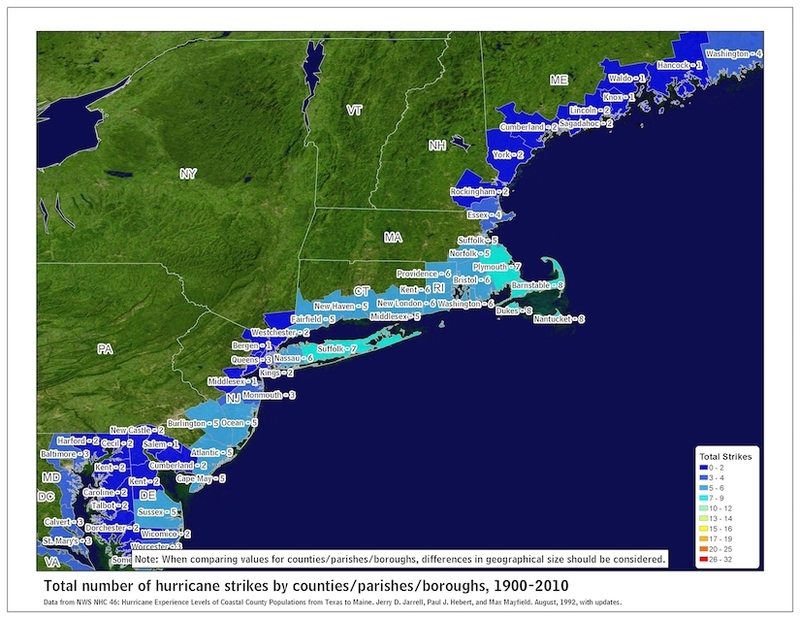 This National Hurricane Center map shows the total number of hurricane strikes in the Northeast from 1900-2010. Click to enlarge. Direct strikes, systems passing nearby, and remnants all have the potential to impact the Northeast. Storm surge, which is the rise in sea level caused by the storm’s winds, is the leading cause of hurricane-related deaths. 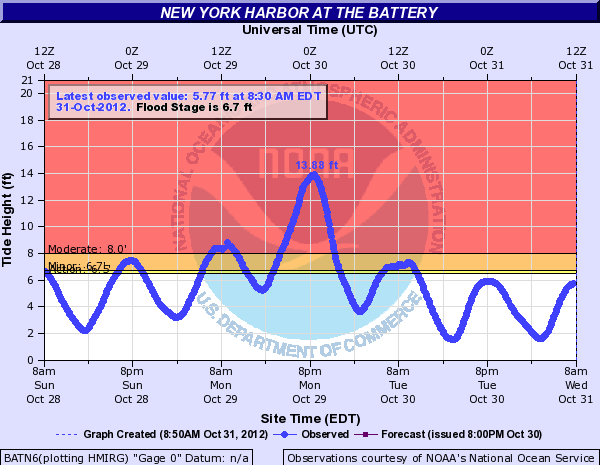 Sandy’s surge arrived near high tide, setting record-high water levels at numerous sites and causing devastating flooding. Record-setting storm surge at the Battery in New York during Sandy. Rainfall from tropical systems can also produce flooding, even inland. Such was the case in 2011 with Hurricane Irene and Tropical Storm Lee. Conditions were already wet prior to their arrival. The ground could not absorb the additional rainfall, so it ran into rivers and streams, causing major flooding. Other hazards include hurricane-force winds, tornadoes, large waves, and rip currents. 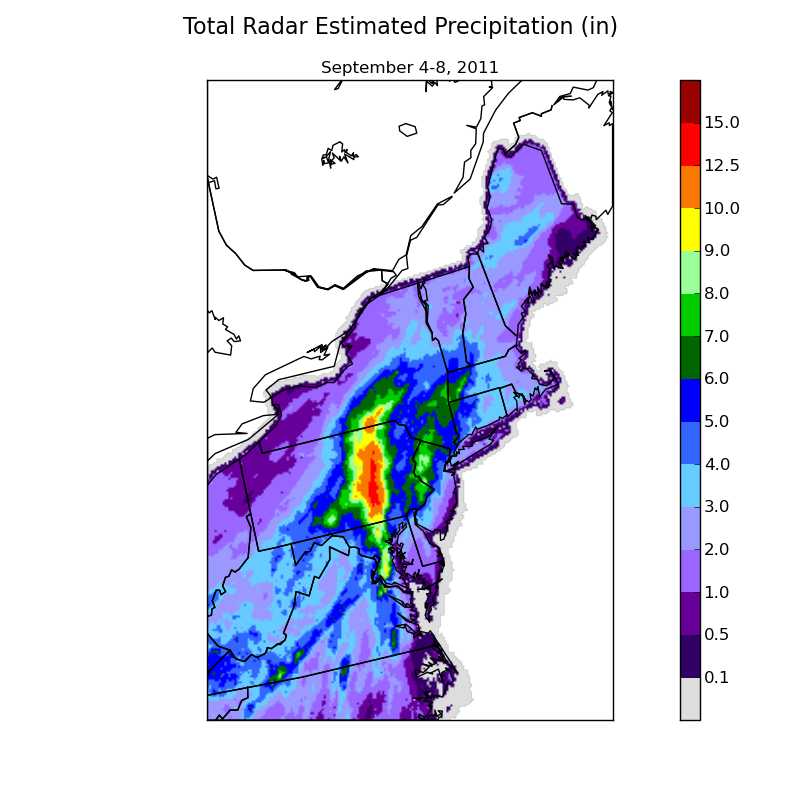 The remnants of Tropical Storm Lee dropped up to 15 inches of rain on parts of the Northeast. No matter the outlook, it’s best to be prepared prior to a storm’s arrival. The National Weather Service has more information on how to prepare here: http://www.nws.noaa.gov/om/hurricane. An updated outlook will be issued by NOAA in August.